Sandra & Michal will be returning to teach a yoga retreat at Basunti in October 2019. Yoga days at Basunti – the last 12 months. And just before we go on to welcome new arrivals and returning yoga teachers in the coming autumn 2018, here is a brief mention and a big thank-you to everyone who participated and contributed in the last 12 months. We really could not have done it without you ! Growing our own organic veg and cooking local style – yoga & food. Turmeric in the foreground, Arbi in the middle and Okra at the back. 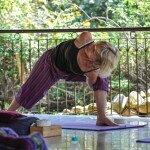 Devon School of Yoga – India retreat, by Jason Parker. 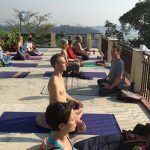 Jason Parker’s thoughts on his recent experiences with Duncan Hulin during the DSY Yoga Retreat in India (as published in DSY newsletter 2017). 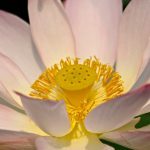 Duncan Hulin & Andrea Guest yoga retreat at Basunti – Steve’s account of his experience, April 2018. Papaya, Porridge, Omelette and Yoga…. It’s 5:30 in the morning on the fourth day of our yoga retreat at Basunti, when we are woken, feeling discombobulated and resentful, by the shrill, piercing call of an extremely loud and persistent bird outside our window. What creature can that be? A poem by Anne Bateman, while participating in Devon School of Yoga retreat at Basunti, 2018. Anne Bateman’s poem – Duncan Hulin & Andrea Guest retreat – here it is, with images. Many thanks, Anne, it’s all there. The dawn birds, a wall of sound, pulsating energy. A Journal, Basunti, October 2017, by Sheila Baker. It is great to be here. It is really hot and the pool and lake are welcome counterposes to our week of travels. A 14 day painting holiday with Dorothy Morris, 10-24 November, 2018. Basunti’s next painting retreat will be lead by Dorothy Morris. 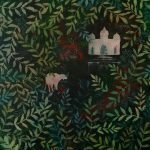 This is a 14 day painting holiday, suitable for professional and amateur artists, who will have the opportunity to draw onto Dorothy’s experience in painting and batik making techniques, together with touring and exploring different parts of North India. By boat to a wedding across the lake, a beautiful journey with only a few goats and a troupe of monkeys for company. Was greeted by the usual riot of colour and noise, with sometimes three different sources of music all happening at once.